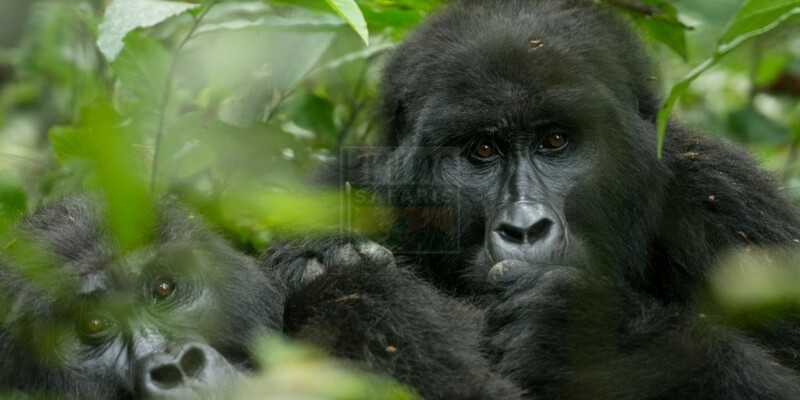 On March 31, 1952, Queen Elizabeth National Park then called Kazinga National Park was legally gazetted as a national park in Southwestern Uganda. 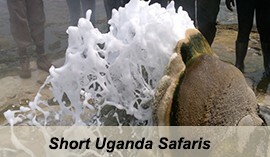 With an area of about 1,978 square kilometers, this park is home to several wildlife species enjoyed by travelers on Uganda wildlife safaris or short Uganda wildlife safaris, several bird species for birders interested in Uganda birding safaris, several plant species, as well as the Kazinga channel. 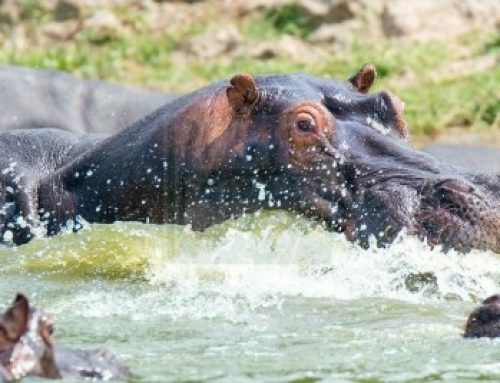 Enjoy a boat cruise along the Kazinga channel and enjoy wildlife along the river banks as they quench their thirst along the river, you will cruise over several hippos and crocodiles as well. Expect to see several birdlife along the river banks. 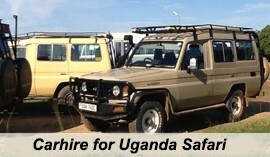 A Uganda wildlife safari in this park is a rewarding adventure achieved on this safari Uganda or on your Uganda safari. This parks’ area includes 10 enclaves (communities) with a population of over 12000 people who up to now continue to live within the national park but these say they have not benefitted from the park. 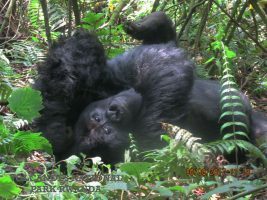 Hamukungu and Nsaazi villages are some of the 10 enclaves within the park but locals cry foul over the way they are treated by Uganda Wildlife Authority (UWA). Emmanuel Kyalimpa, the LC2 chairman of this area reported that the relationship between UWA officials and locals is at its worst because they see each other as enemies. “We were made prisoners in our own area despite being here way back before even the park was gazette,” Kyalimpa says. 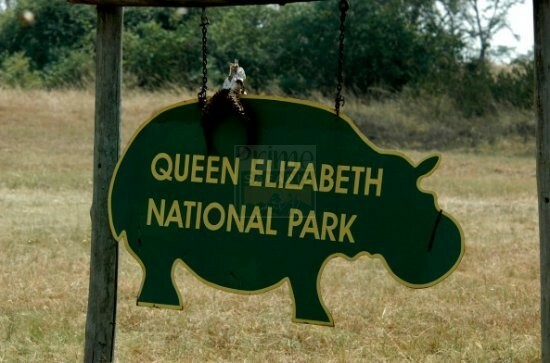 The locals say unlike in other areas where the residents are allowed intervals especially in drought to access the park for water and pastures, it is not the same with Queen Elizabeth National Park UWA officials. “At least in the dry season they should allow us access to some corridors in the national park for water and pastures,” Emmanuel Ahimbisibwe said. The locals say they are perturbed by the animals that cross over from the national park to the communities and brutalise them. “They eat our goats and we fear they might start eating humans. Children go to school very early and pass by bushes and we fear they might be attacked by these animals.” “The lions should be relocated to the middle of the park far away from our boundaries so they cannot come to the communities.” The locals however say all efforts to meet with UWA officials in a bid to discuss and mitigate on these issues have fell on deaf ears. The locals also accuse UWA rangers of brutality whenever their(locals) animals cross over to the national park. “If our animals cross over to the park (even if accidentally), we are arrested and brutalised by UWA rangers before being taken to court.” “We have no problem living with these animals (from the park) but the problem is that when they terrorize our own domestic animals and we report to UWA, we get no help,” says 74-year-old Samson Wamala, a cattle keeper in Hamukungu. The locals accuse UWA of segregation when it comes to employment opportunities. 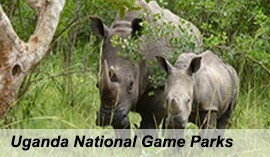 They say when it comes to recruitment of game rangers and other casual workers in the park, they are not considered yet they are stakeholders in the tourism business.“We are not given chance for job opportunities yet we have so many educated but unemployed young boys and girls,” says Wilson Asiimwe, a sub county councillor in the area. The locals say when their animals or crops are eaten or destroyed by animals from the park, they receive no compensation from UWA officials. “One man was killed by buffalos but a few days later, the deceased’s animals crossed over to the park. Without any sympathy, they were impounded and when I followed up on them, UWA officials detained me,” said Swizen Bukenya, the LC3 chairperson for Nsaazi. “Instead of compensation for the local killed by animals from the park, they were looking for the next of kin to be arrested. “Speaking with anger, the locals said UWA officials don’t listen to local leaders and are despised. In court, locals say, they are charged with unlawful possession of dangerous weapons (sticks) and negligence for letting their animals cross to the park before either being fined heavily or imprisoned in the alternative. 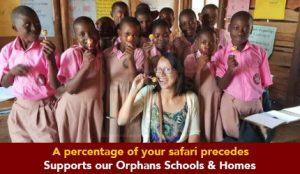 “Their animals come eat our goats and also crops but we don’t kill or charge them. Why should they brutalise us,” wondered the locals. They say they get little out of revenue from the park, adding that they are kept in the dark about the monies got from tourists by the park. “This is the third year we have not got revenue and we don’t know if the park never made any profits,” said a local from Hamukungu village. 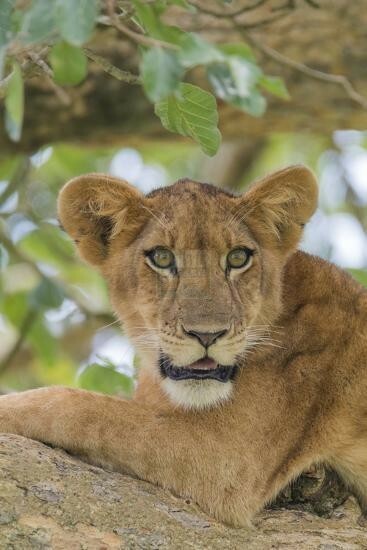 Locals living within Queen Elizabeth National Park Uganda insist that that there should be harmonious relationship between them and the park because they benefit from each other. 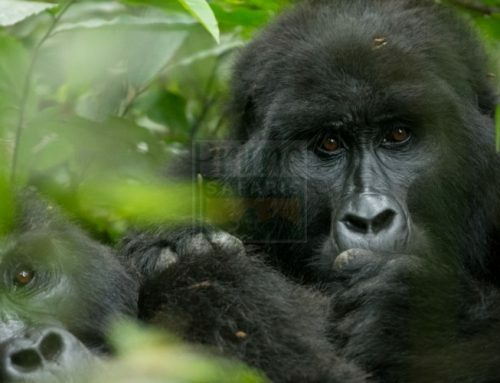 Operators under their umbrella body, the Association of Uganda Tour Operators (AUTO) said cases of human-wildlife conflicts are not good, noting that they need to be dealt with by all concerned people. 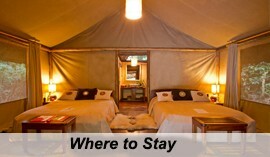 “As stakeholders in the tourism sector, we all need to work together to ensure no one is left out. 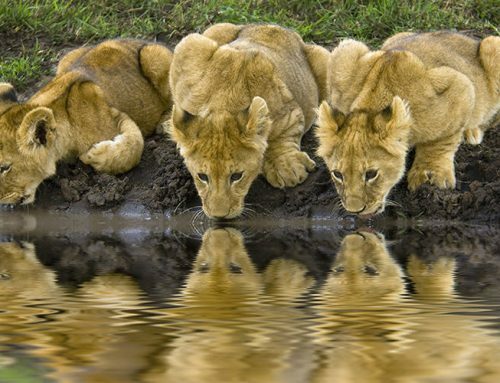 The communities need to live in harmony with the parks,” said Farouk Busuulwa, the board secretary for AUTO. 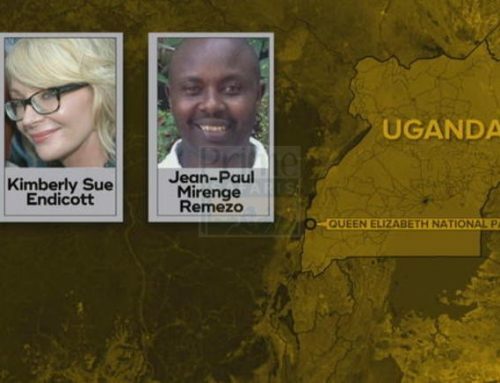 He said the tour operators’ body would sit and try to see if they can work on the issues affecting the communities living in Queen Elizabeth National Park and later try to bridge the gap between them and Uganda Wildlife Authority. “The people sustaining the parks are these locals and so they are crucial in its existence. There is need for co-existence. We shall meet all the concerned parties to ensure they live in harmony.” He however urged the locals to engage in in activities like craft making that would allow them benefit directly from the tourists. When contacted for a comment, UWA Executive Director Sam Mwandha said he would look into the complaints by the locals. “The revenue money is coming to parishes but for the last one year, we have not shared revenue with them but there is shs2 billion we are soon sharing with them,”Mwandha said. On being harsh to the locals during arrest, Mwandha said “that information had not yet got to him” but noted he would investigate it. “As far as I know if somebody is poacher or entering the park illegally, we arrest them and take them to court. It’s true we have neighbors and we will work together in ensuring the arrests don’t continue. 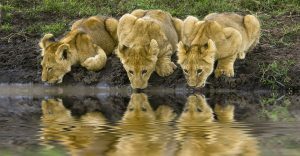 We need to ensure the neighbors appreciate the need to protect wildlife as we work together,”Mwandha said.